GastingerWalker& enjoyed AIA KC Big Night on September 27 at the Center for Architecture & Design! During the celebration of the AIA KC chapter's 2017 activities and success, several of our own team members were recognized. Amy Kinderknecht was inaugurated into the Board of Directors as the 2018-2020 Associate Director. Mike Fahey was thanked for service in the Board of Directors Selection Committee, and Samantha McCloud was recognized for her initiative and service as Co-Chair of the Equity in Architecture Committee. 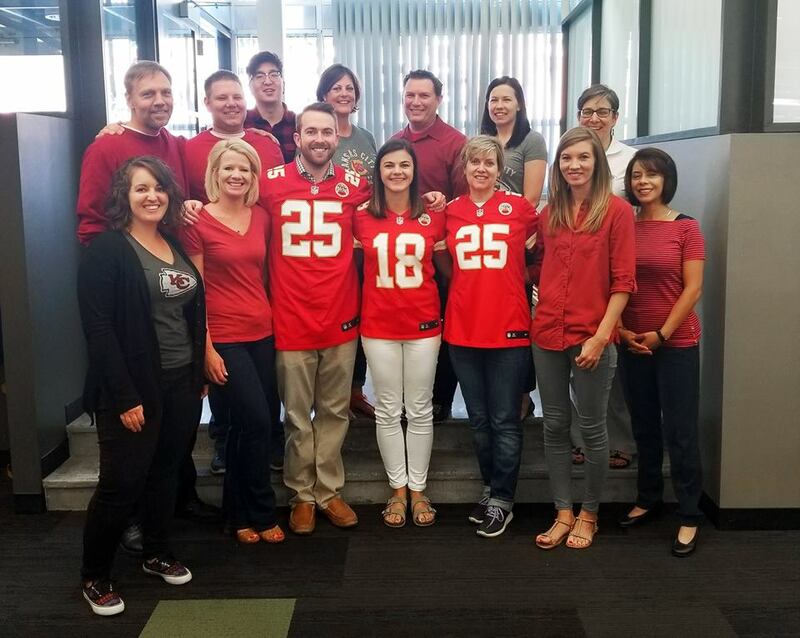 It's football time and the GastingerWalker& team is suited up in our KC Chief's gear to support our hometown team. Go Chiefs! GastingerWalker& team members Amy Kinderknecht and Emily Gale participated in the 2017 Cookie Construction Build Day this past weekend. With the theme: "We are Girl Scouts. We are Innovators", the Girl Scouts constructed some pretty amazing structures! These girls have spent six months planning and designing, and on March 4th all their hard work came to life in structures that will remain on display in the Crown Center Atrium through March 24th.